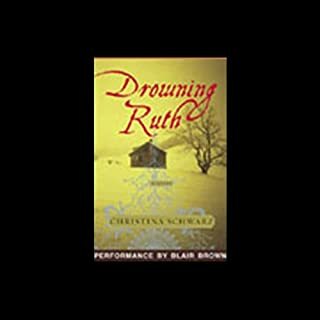 Deftly written and emotionally powerful, Drowning Ruth is a stunning portrait of the ties that bind sisters together and the forces that tear them apart, of the dangers of keeping secrets and the explosive repercussions when they are exposed. A mesmerizing and achingly beautiful debut. When two unhappy women switch homes for the summer, there are extraordinary consequences, and each learns that the other has a deep secret that can never be revealed. At the end of the summer, when the women at last meet face-to-face, they find that they have become, firmly and forever, good friends. 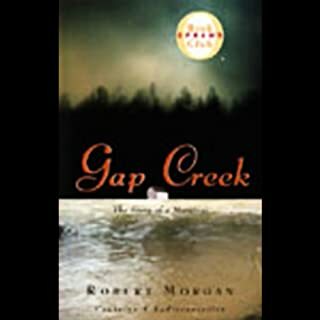 Gap Creek is a powerful and touching story of a marriage at the turn of the century. For Julie and Hank, life grinds ever on without pause or concern for hard work. From devastating floods to encounters with intoxicated grifters, they survive the disappointments and triumphs of their new life together. An Oprah Book Club Pick. Browse more Oprah selections. Mother of Pearl is populated by wonderfully rich and original characters. The paths of Even Grade, a black man who grew up an orphan, and Valuable Komer, a white girl who is the daughter of the town whore, cross through Joody Two Sun, a seer, who becomes Even's lover. Both Even and Valuable are seeking the family, love, and commitment they never had, and their search ultimately takes both of them to places they never dreamed they'd go. A funny, sad, and transcendent story of a young girl growing up in Appalachia. The New York Times Book Review called this Oprah Book Club selection "vivid and unforgettable." Carson McCullers was all of 23 when she published her first novel, The Heart Is a Lonely Hunter. She became an overnight literary sensation, and soon such authors as Tennessee Williams were calling her "the greatest prose writer that the South [has] produced." The Heart Is a Lonely Hunter tells an unforgettable tale of moral isolation in a small southern mill town in the 1930s. Author of 27 novels, Joyce Carol Oates has won a National Book Award and the PEN/Malamud Award. She has been nominated for the PEN/Faulkner Award and the Pulitzer Prize. Readers around the world marvel at her ability to trace the subtle dynamics at work in the modern American family. Reminiscent of the works of Jane Smiley and Anne Tyler, Oates’ novel tells a tale that could be tragic, but is, instead, a ringing affirmation. Narrator Scott Shina’s performance perfectly captures the complex relationships within the Mulvaney clan. With all due respect to the difficulty of narration, and while Mr. Shins is clearly a professional, the performance completely misses the voice of place critical to this story. He should have been coached to speak the dialog closer to a Central New York accent and speech pattern. Too often rural voices are spoken in a totally generic southern drawl. I can assure you this voice would be completely foreign in the Chautaqua Valley, where speech is much flatter, closer to French Canadian. I couldn't take it and decided to read the book instead. If you're not as familiar with CNY, or not as picky, it may not bother you at all. The story is very true in spirit to the place and time, as Oates understands this community in her bones. Twenty-two hours of nothing. This is a story of a superficial family, growing up in a small town and constantly worrying about appearances. Mrs. Mulvaney was moving about with her head in the clouds. She seemed more concerned about the farm animals than she was about her husband and children. She chose to hide behind her faith in God with the expectation that her family would take care of themselves. Not having parents to guide her, the daughter was left floundering and on her own. The father was no better with parenting skills. He focused on having a successful business and living a superficial life, even to the point of joining a country club where he was only tolerated. One act of violence, eventually forced this family to realize that they had no foundation to keep them strong. Mulvaneys deserves more attention and prominence in Oates' oeuvre. It didn't receive a National Book Award (like here 1969 work, them) or a Pulitzer nomination (like Black Water, What I Lived For, and Blonde). It's notoriety came from selection by the Oprah book club and a movie adaptation. But Mulvaneys is excellent! 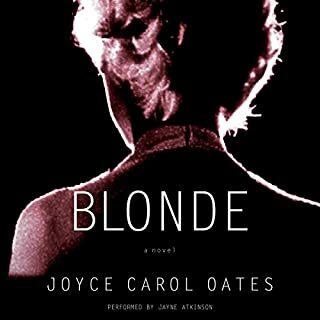 Oates crafts perceptibly realistic characters, who are as emotionally complicated and psychologically baffling as any real human being. 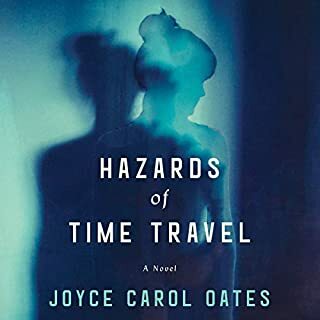 The novel also interestingly forays into religious and epistemological issues; in fact, Oates depicts the religious Maryanne heroically, though she cannot defend her faith against her brother's deep-seeded naturalism. Oates impinges stirring literary conceits upon this simple story, which she admits is indebted to Shakespeare’s King Lear. The narration, generally linear, features vivid flashbacks. The structure works compellingly well, as the flashbacks provide foil for the proceedings of the novel. The narration is quite good with one exception. 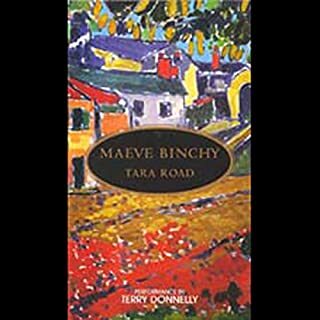 Shina often hints at a rural Southern accent, but the work is set in rural upstate New York. This was distracting through the first third of the audiobook. Otherwise, it's a great listen! This was really written by Joyce Carol Oates? I don't like to write many reviews - usually only to help other listeners find gems or avoid books that I think are just overall bad (but not because they just don't meet my taste in books). This the latter. Fortunately, I got it when was a low price, so that didn't hurt so much. I was maybe a third into the book when I wanted to immediately call Carol Joyce Oats and let her know that some untalented teenager was using her name on a book titled We Were The Mulvaneys. This is a very character driven book, but they are amazingly one dimensional. 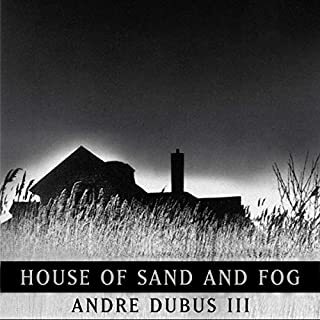 In the book synopsis, these excerpts: "… Judd looks back through his memories to tell the secrets that eventually ripped apart the fabric of his storybook family." and "….Oates’ novel tells a tale that could be tragic, but is, instead, a ringing affirmation." OK, so going in we know that there will be some event or events that are bad and hidden and that things turn out alright in some way. And that is what we get, but it's like seeing it on TV, except with little drama and no humor. There is absolutely no introspection of either the writer (Judd) or any of the other characters for why people are doing what they are doing. We just see them do it. This could have been about how the family members and others felt about what happened, their perceptions and perspective on events and why they made the good or poor choices in their lives. The Judd character is just writing an article where other members of the family have apparently told him the events but not why they did anything they did or what they thought to themselves. And the affirmation ending is just as one dimensional as the rest of the book. There is no catharsis or reflection by any of the characters. We just see them going about their lives. To me, this is a very flimsy story. I expected more from this author. Oh, and to add to the poor experience, the reader is quite bad on this book. Believe I have listened to him another time and liked his performance, but not on this book. Too often, it's clear he's reading a book he's not that familiar with, pausing in inappropriate places, like he thought that was the end of the sentence, but oh wait, here it continues on the next page. 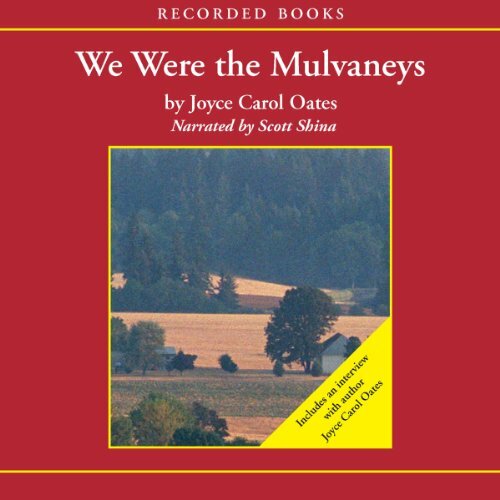 It's a good thing all audiobooks aren't as good as "We Were the Mulvaney's" -- nobody would get anything done. We'd just sit and listen. I normally stay away from Oprah books, but this one is magnificent, pure Americana. Absolutely excellent. I admit to having read this book at least three times, but this was my first (although certainly not my last) listen. I was a little hesitant, not wanting a less-than-stellar narration to 'ruin' it for me, but that certainly was not the case. Scott Shina does an admirable job, getting all the family members just right. Not easy -- capturing the slightly ditsy Corrine, so she doesn't sound like a maniac, but clearly as someone with a few 'issues'. Or Patrick, with his high intelligence, who needs to come off as someone who loves to know everything, but not as superior or arrogant. Even the eccentric and crusty Whittaker West, who came across exactly right, as a mensch underneath it all. It's a sad book, in so many ways. In the beginning, when everything is perfect in a big-family 'Sunnybrook Farm' sort of way, I find myself thinking that I'd be happy if the book just went on like this forever. But of course it doesn't. 'Something' happens to Marianne, and that changes not only the family dynamic forever, but ultimately results in ... well, read it and find out. I wouldn't spoil anyone's pleasure for a moment. I will say this: If you loved the book, you may want to skip the over-long author interview at the end. Usually I love those interviews -- the ones Nelson DeMille does, with many of his books, are wonderful and add so much to the book. Not this one. The fact that Oates tries to justify Michael, the father's, actions makes my skin crawl. I also fail to see the heroism she attributes to Marianne -- that wasn't saintliness, in my mind. It was insanity. We do agree on this, though: the animals -- all of them -- were characters all by themselves in this book. If I had a nickel for every tear I've shed over Muffin, I could retire. Whatever, it's a masterpiece. Just clear your calendar for 22 hours. It's worth it. Forgot how amazing this book is! I read this before, maybe 10 years ago, but forgot what a powerful story it is. So glad to have listened to it! You get to know the characters very well, emotions are brought to the surface. It will make you cry & laugh! Don't delay! Download this book right away. I kept passing over this book for one reason or another, and finally decided to use a credit and listen. I wish I had done it sooner. This is added to my all time favorites list. Aside from the middlebrow writing of Oates, the narrator is completely irritating. The Mulvaneys live in upstate New York and always have. But whenever the narrator "does" either the mother's or the father's voices, he uses a down-home Texas accent. Mrs. Mulvaney sounds like Sissy Spacek. It is so irritating I could not go on. Joyce Carol Oates is a brilliant writer, and this book doesn't disappoint. But the narrator is juvenile, inept, and a bit patronizing in his reading, to the point where I frankly can't imagine getting through the audio. The story of this family might be engrossing and heartbreaking to many listeners; I am resentful on the author's behalf that this twit's rendition of it may drive them away. Her "A Widow's Story," on the other hand, was exquisitely read.